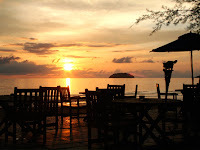 Located at the end of Jalan Tunku Abdul Rahman and about 6 kilometres from Kota Kinabalu City, this place is closest to the hearts of the locals, and just one visit to the beach will tell you why. Taking its name from the casuarinas or aru trees that fringe the fine sands, this is where one might get a ringside seat to the greatest sunset on earth every evening when the crimson sun dips slowly into the horizon, leaving the vast skies a brilliant red..
Foodstalls serving local food and drinks are open till late at night. Enjoy coconut and sugarcane juice, chicken or beef satay and steamed peanuts and corn, or indulge in a full-course dinner at the seafood restaurant located there. From KK City Centre, take the No 16 bus towards Tanjung Aru from the bus stations in front of City Hall or Wawasan Plaza and let the driver know of your destination. Bus fare is RM1.50. 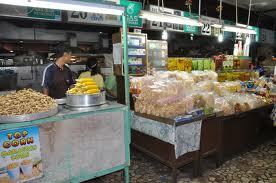 You can also go by taxi, atRM15 per taxi (up to four persons). The journey to Lok Kawi Wildlife Park takes 30 minutes to an hour’s drive from Kota Kinabalu, the estimated distance is 20 kilometers. For transportation, visitors can either drive or take a taxi from the city centre. 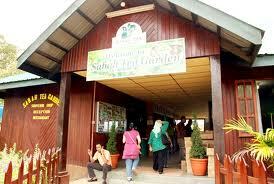 Sabah Tea is the only organic tea farm in Borneo and one of the few in the world. A trip to the tea garden is both educational and fun, one where visitors can enjoy a variety of recreational activities such as obstacle-crossing in the Sapaon Recreational Area, trekking along the trails to the peak of Kamunsu Hill or embarking on a night walk to check out the unique insect life. Highly recommended is the 2-day 1-night Sabah Tea Adventure package, which incorporates a tea factory and plantation tour, a course on basic jungle survival skills, understanding rivers and how to safely get across them and obstacle training. This package has been awarded the Best Tour Programme for Educational Tourism at the Malaysia Tourism Awards in Kuala Lumpur. If you are not joining a tour group, take a bus from the Terminal Bas Bandaraya-Utara (City Bus Terminal-North) for around RM15.00 per person (the bus stops at Ranau town). 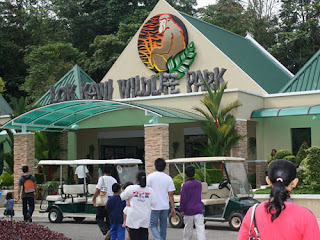 You can also take a taxi from the station near Merdeka Field for approximately RM160 per taxi. Fares may range around RM300 if departing from your hotel. Note that all fares cited are one way.